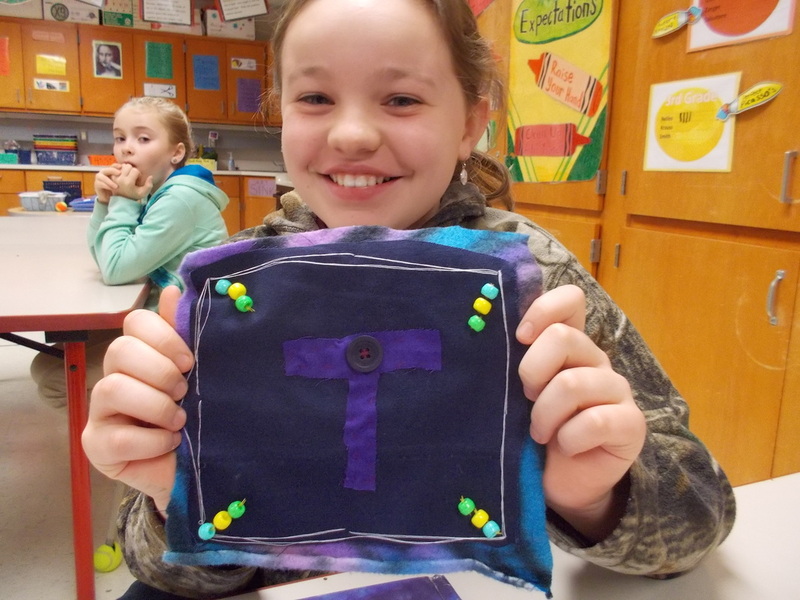 Sammy created an awesome sewing project at home! She up-cycled an old pair of tie-dye pants and used a needle the thread to sew beads and buttons on to her tapestry! During our oil pastel driven unit on Vincent Van Gogh Emily brought in one of her own oil pastel works of art to share with the class. 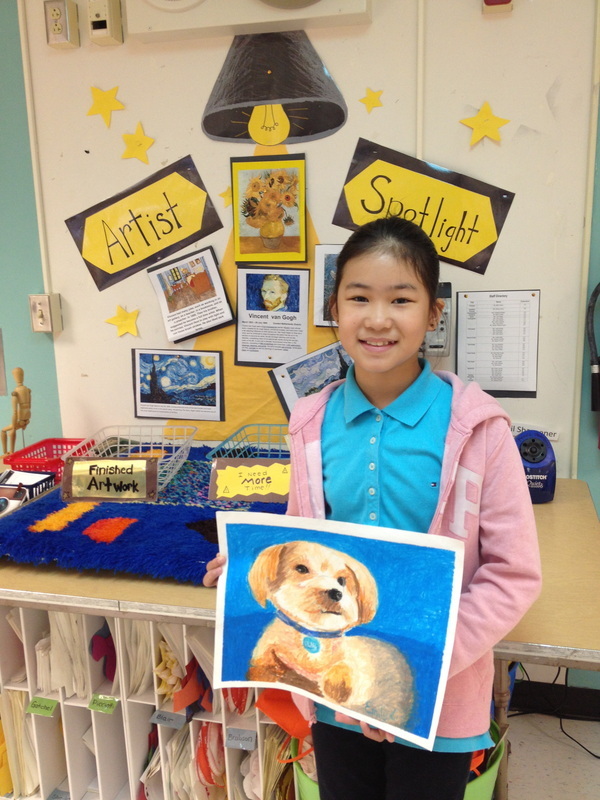 In addition to sharing her work she also showed us some of the oil pastel techniques she learned at her after school art class! 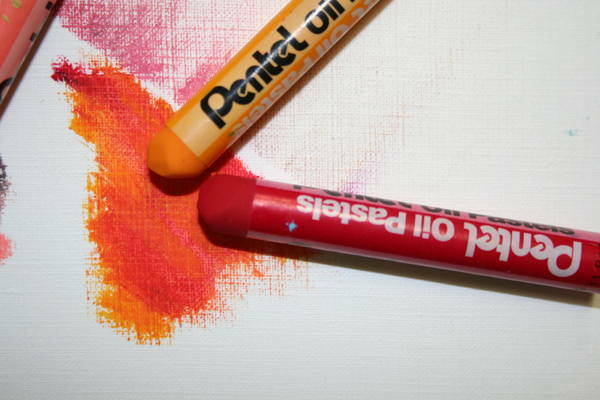 Emily taught us how to blend and also carve away at oil pastel drawings with tooth picks. 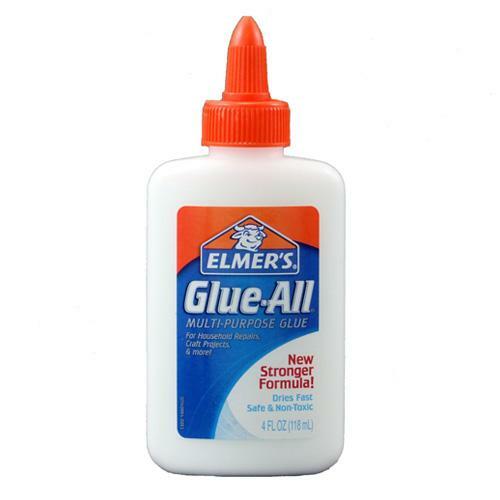 Thanks so much Emily! 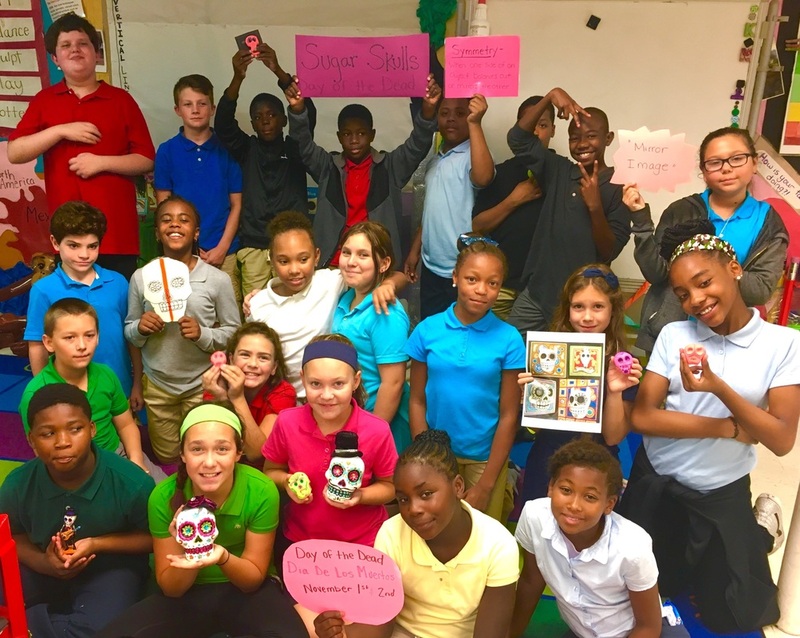 Throughout the school year Taylor has created her own fashion line of clutches, purses, and coin pouches! Each design is made completely out of duct tape! This 3rd grade entrepreneur is currently selling her purses for $5.00 each. Way to go Taylor! 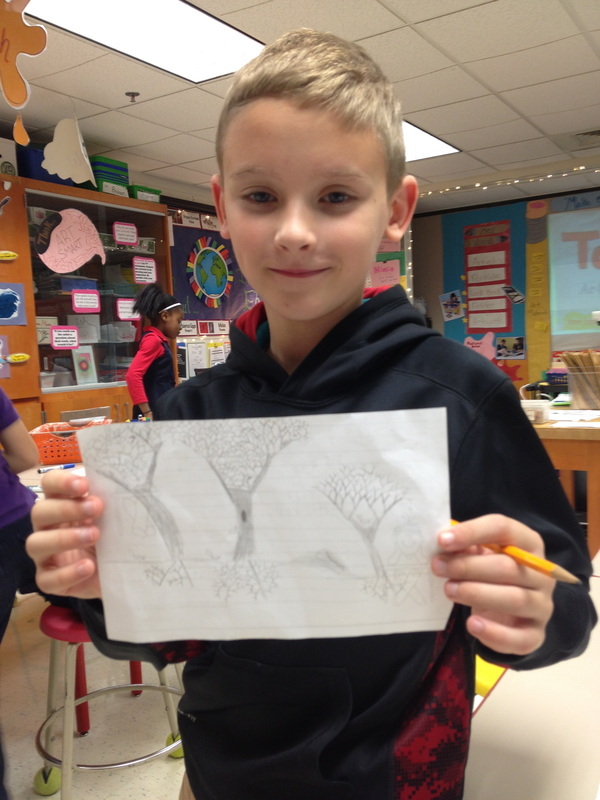 During our study of Landscapes Alex brought in a sketch he created of his back yard! 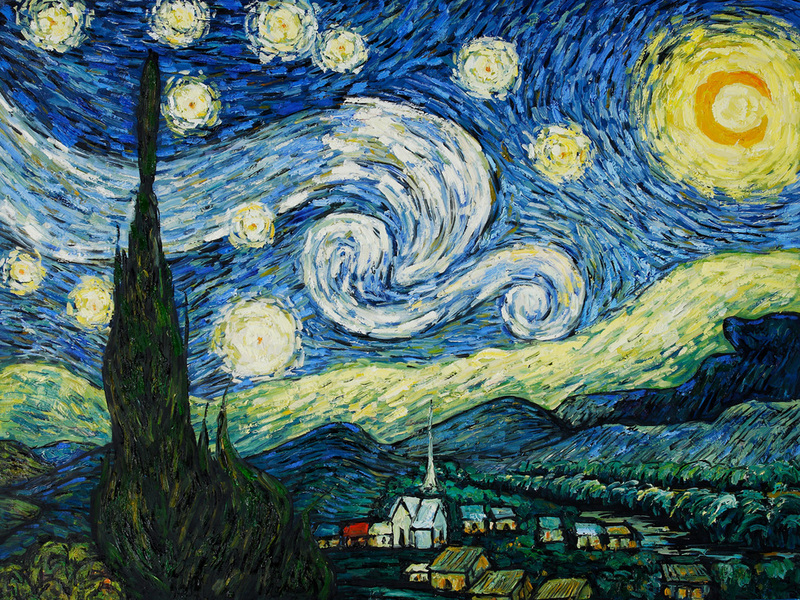 What a great connection to compare to Vincent Van Gogh's The Starry Night. It was fun comparing the different types of trees that originate in North America vs. Europe! Thanks for sharing Alex. This month we have been learning about Shapes in Architecture! Jenna brought in a house she created out of paper and tape to share with the class. We had a blast identifying different shapes and forms within her unique structure! 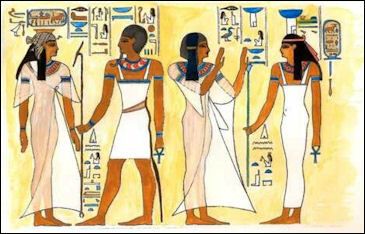 Last year during our world travels we visited ancient Egypt! 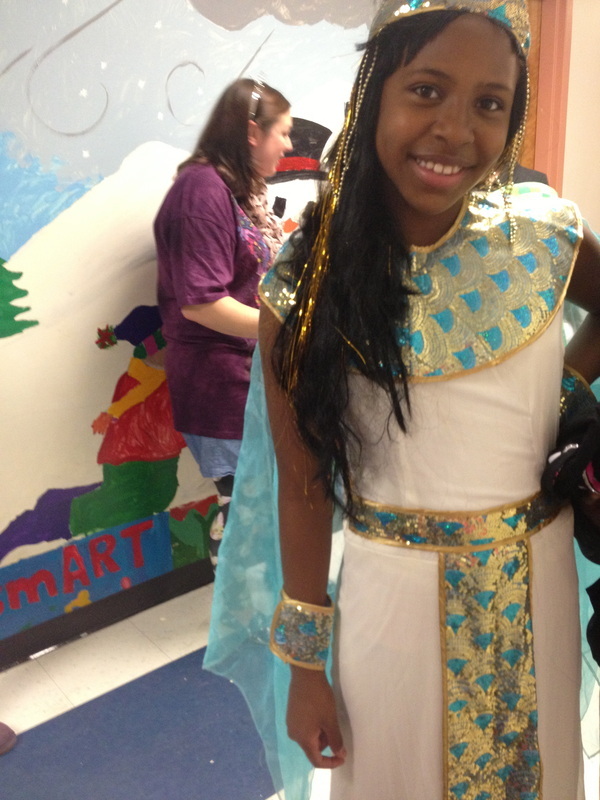 Mya's costume is a perfect example of ancient Egyptian fashion and jewelry design. 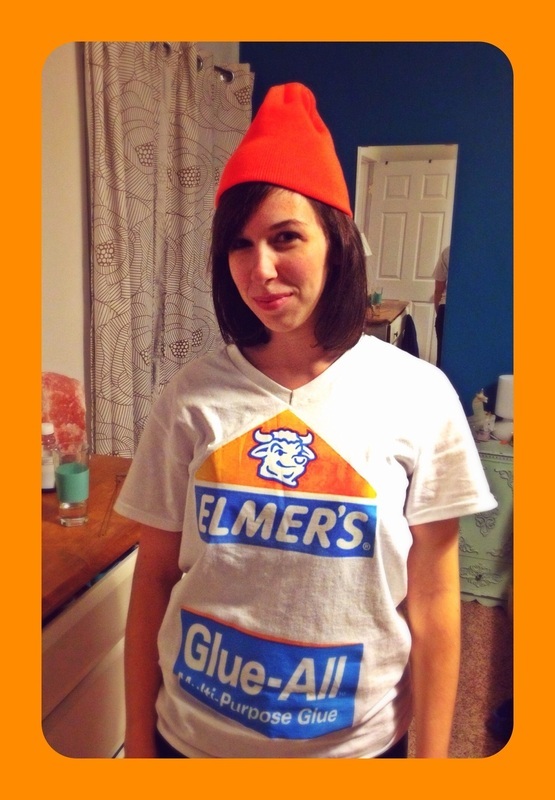 In the name of all things art supplies Ms. Reynolds made an elmer's glue themed costume! It tools three guesses for the students to figure out what she was dressed up as!